This hymn was written by a Chicago lawyer, Horatio G. Spafford. You might think to write a worship song titled, ‘It is well with my soul’, you would indeed have to be a rich, successful Chicago lawyer. But the words, “When sorrows like sea billows roll … It is well with my soul”, were not written during the happiest period of Spafford’s life. On the contrary, they came from a man who had suffered almost unimaginable personal tragedy. Horatio G. Spafford and his wife, Anna, were pretty well-known in 1860’s Chicago. And this was not just because of Horatio’s legal career and business endeavors. The Spaffords were also prominent supporters and close friends of Dwight.L. Moody, the famous preacher. In 1870, however, things started to go wrong. The Spaffords’ only son was killed by scarlet fever at the age of four. A year later, it was fire rather than fever that struck. Horatio had invested heavily in real estate on the shores of Lake Michigan. In 1871, every one of these holdings was wiped out by the great Chicago Fire. 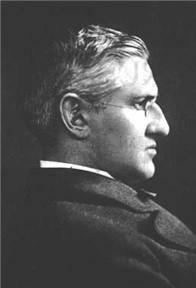 Upon hearing the terrible news, Horatio Spafford boarded the next ship out of New York to join his bereaved wife. 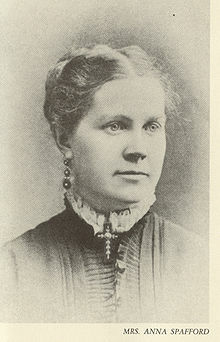 Bertha Spafford (the fifth daughter of Horatio and Anna born later) explained that during her father’s voyage, the captain of the ship had called him to the bridge. “A careful reckoning has been made”, he said, “and I believe we are now passing the place where the de Havre was wrecked. The water is three miles deep.” Horatio then returned to his cabin and penned the lyrics of his great hymn. The words which Spafford wrote that day come from 2 Kings 4:26. They echo the response of the Shunammite woman to the sudden death of her only child. Though we are told “her soul is vexed within her”, she still maintains that ‘It is well.” And Spafford’s song reveals a man whose trust in the Lord is as unwavering as hers was. Even so – it is well with my soul. I greatly appreciate music and history…in that order. Respect and honor is due to the anointed meaning behind this precious song. Therefore, It is Well with my Soul!